We're just a few days away from the Chinese New Year, and this year will be the Year of the Rabbit. The Rabbit is said to be a symbol of luck and good fortune, and with predictions calling for a calmer, more peaceful year, it should give most of us a chance to pause and catch our breath after a hectic Year of the Tiger last year. I, for one, am very much looking forward to it! Plus, bunnies are just plain cute. 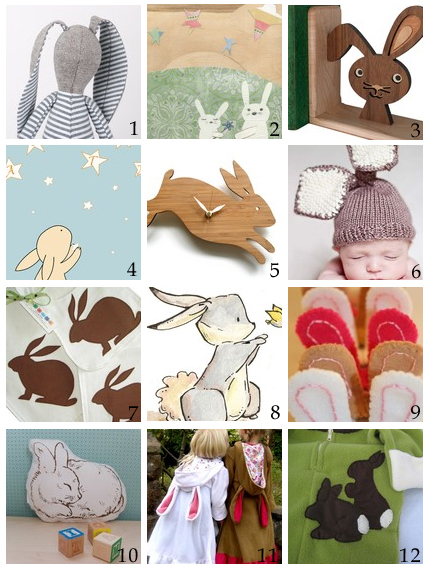 Here's some of my favorite rabbit inspired items to celebrate the coming year.